Father of three. Born in 1977 in the Golan heights. moved to Jerusalem at 12 years old. Studied film at the high school for the arts in Jerusalem. Served as a squad leader in the IDF infantry. Lived in New York between 1999-2005. Studied 16mm film at the New School University. Worked as an editor and director on TV promos and commercials. His campaigns for "Star Wars" and "Uvda" both won gold prizes at the New York Promax awards. Edited the film "Seven minutes in heaven" 1st prise at Haifa international film festival and "Phobidilia" official selection Berlin Film Festival. Wrote and Directed "Hostages" an Israeli thriller that aired for 2 seasons in Israel channel 10. The show was remade for American television and aired on CBS. The original show also aired on BBC4, Canal+ and currently on Netflix. The show won "Best International Drama" at the 2014 Golden Nymph awards in Monte Carlo. 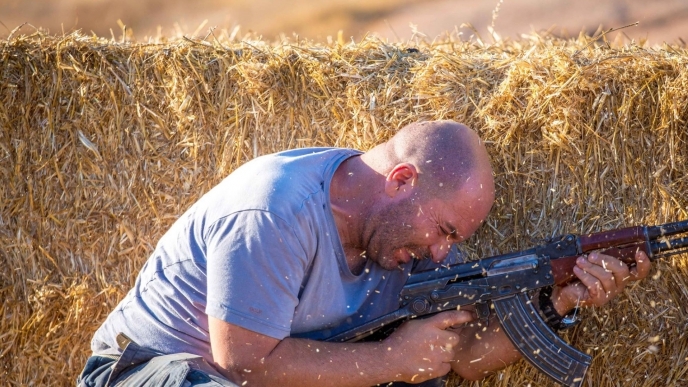 Director of the 2nd season of "Fauda", chosen as one of the 10 best shows worldwide by the New York Times, and the tv movie "Rescue bus 300."